Advanced training for more experienced skippers building on the Day Skipper course. This course equips you to navigate safely on coastal and offshore passages. 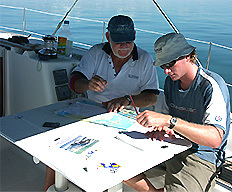 It allows some time for revision of the basics and then moves on to advanced navigation techniques. Duration: 40 Hours- can be covered as a series of short sessions, or as an intensive week-long course.